But, where do the players come from? Just like in football, Major League Baseball players often come from colleges, and one local university has had a big hand in helping. 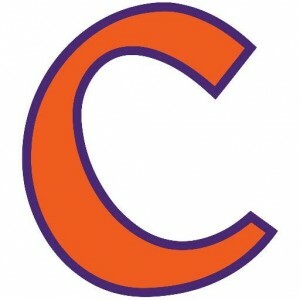 Clemson University in Clemson, SC has an athletic department that has bred several professional players in all sports over the years. Baseball is no different. Several for Tigers are now in the Double or Triple-A level such. Such famous names include former Pirates’ pitcher Danny Moskos and former Rockies’ first baseman Ben Paulsen. However, there are former Tigers that are currently playing on the MLB’s main stage. Brad Miller currently plays with the Tampa Bay Rays after playing for the Seattle Mariners for three years. Tony Sipp is another former Tiger. He currently plays for the Houston Astros after playing for the Cleveland Indians and Arizona Diamondbacks. While Clemson University may – to the eye – have seemed like a small school, years ago, it has definitely grown over the years and has grown in popularity too. Many athletes from all over have taken notice of what our local college has done – academically and athletically. So, what are you waiting for? Come check out the university. You’ll see that the surrounding city of Clemson has much to offer. While you’re in town, The Powell Group invites you to view all of our beautiful homes. Our team members are here to answer all of your housing questions and concerns.